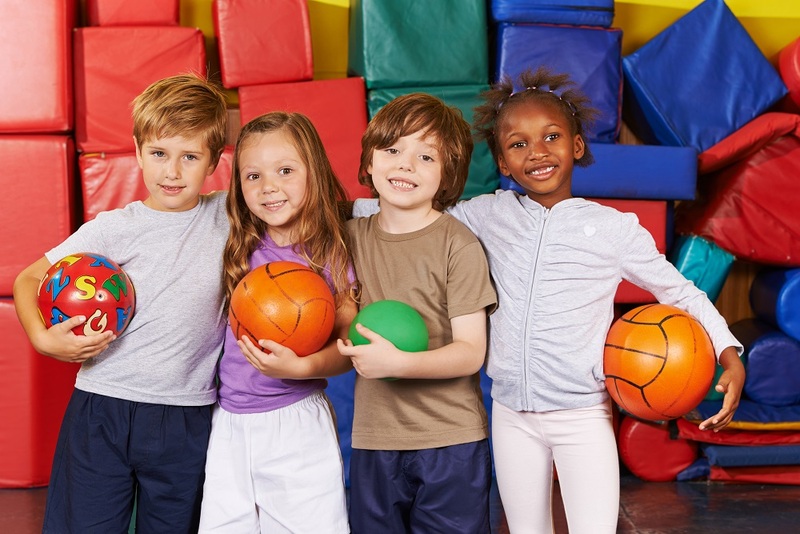 My name is Lindsay Karp, I teach physical education and health at Bret Harte Elementary and A. Russell Knight Elementary in Cherry Hill, NJ. 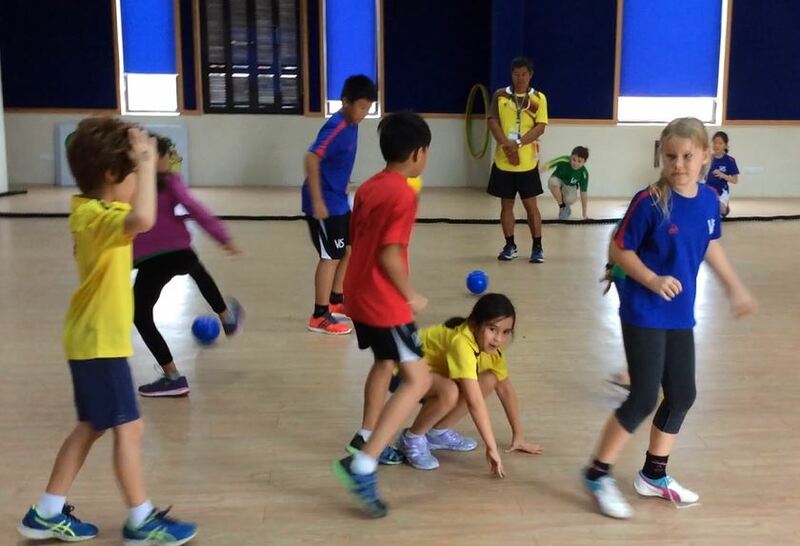 Catapult is a fun, energizing game that focuses on multiple fitness components and creativity. I first saw this game on Twitter from another PE teacher who I could not find again, so just wanted to give a shout out if you are reading this, thank you! 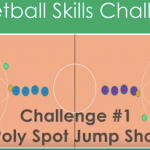 I modified this game to make my students more successful within their skill-set. 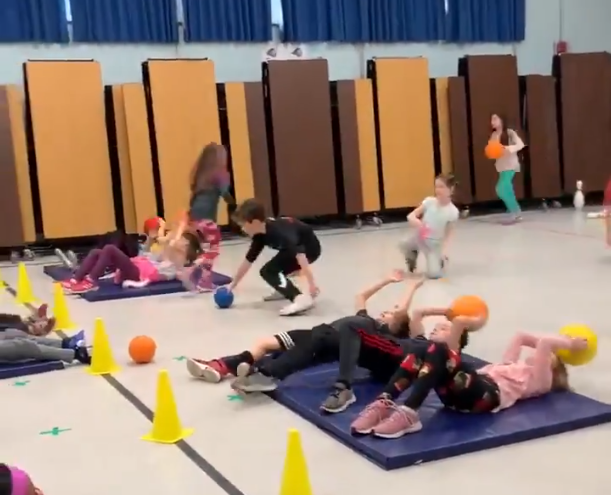 I used this game during our “Health and Wellness” week while we discussed fitness components and nutrition. Teams have two jobs – Catapults and Runners. Each team will have 6 catapults (students on the mat) and the rest of the team are Runners. The Runners’ job is to retrieve gator balls and give them to the Catapults – they cannot guard the pins. Once Catapults get a ball, they do a sit-up and then throw the ball to knock over the pother teams’ pins. Catapults switch every 2 minutes to allow for correct form and rest time. Once Catapults switch, they then become Runners. The first team to knock down all 14 pins is the winner. I add different levels each round, so the above is Level 1. 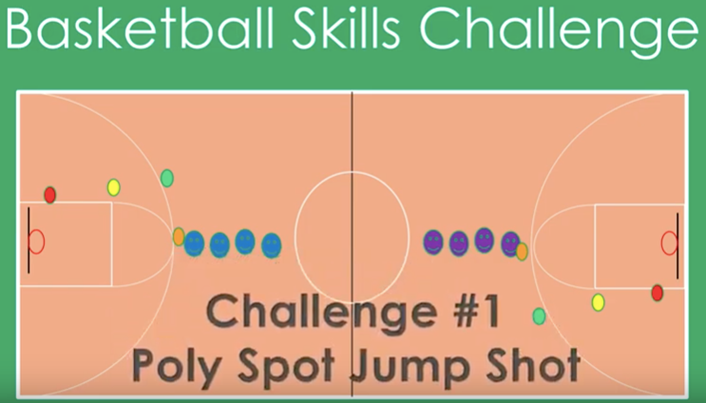 Each level can be modified as needed and grades 1-5 can play this game! My students LOVED this game! Once they understood the basics, we kept adding levels for challenge and differentiation. They got such a great workout the whole time! This is a new house favorite! 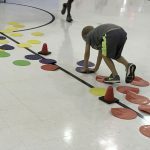 Coach Payne (@HomesteadPE) tried this activity with his students and created his own unique version. See his video below. 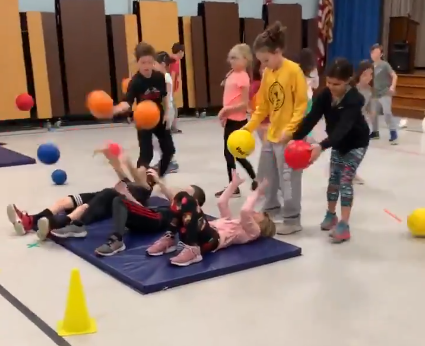 This entry was posted in Health & Nutrition, PE Activities & Games, PE Central and tagged catapult activity, helth and wellness, Lindsay Karp, Linsday Karp, PE activities, PE activity, PE Central, PE lesson plan, pe teacher, physed, Physical Education by S&S Worldwide. Bookmark the permalink.